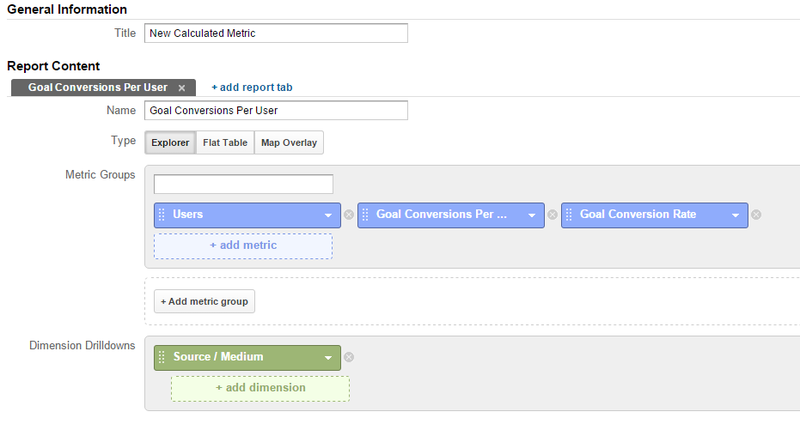 Google has released a new feature called ‘Calculated Metrics’ that lets users extend the existing set of metrics available in Google Analytics to create custom user-defined metrics. This is really important, as users do not need to take the data to another software for further analysis. Also Google Analytics can’t always find out the need of its users, so giving the freedom to control the metric calculation would suite various business requirements. A digital advertising agency might charge its client x% on the total campaign budget. Now with Calculated Metrics, the client can add the x% agency fee to the cost of the campaign and finally get the actual ROI. These fields are pretty straight forward. Start by providing a name that you’d remember and the next field (External Name) will be automatically filled. Next thing is to select one out of the five formatting types. Finally start typing a metric name that you already know to get suggestions, enter the operator (plus, minus, divided by etc.) and your formula will be created. Note that standard accounts can create 5 and premium ones can created 50 calculated metrics in each view. Now, let’s check out some useful ‘Calculated Metrics’ for sales leads. A business might be generating leads from multiple digital assets like white papers, freebie download page, newsletter sign up, contact forms, targeted landing pages, etc. Now we need to add all these goal conversions and divide the result by ‘Users’. By choosing formatting type as ‘Percent’, we’ll find out the rate of conversions per user. In order to generate leads, businesses run advertising campaigns (e.g. AdWords) to drive the targeted users to a specific landing page and via form submissions and capture the contact details. Now, to calculate the real cost per lead, we need to add the agency fee to the total amount of money spent. By dividing the real cost with the total number of leads, the real cost per lead can be found out. We can find out the form submissions in comparison to the number of time a form in viewed by simply dividing the the number of form submissions by the number of form view. The formatting type here would be in percent. This metric allows us to measure the overall engagement rate of all the custom interactions combined with lead generation forms submitted on a website and landing page. We’ll add total number of events with the number of goal conversions and divide the result by Users. The formatting type will be set to percent. How to view Calculated Metrics? Just head over to ‘Customization’ section and click on ‘New Custom Report’. 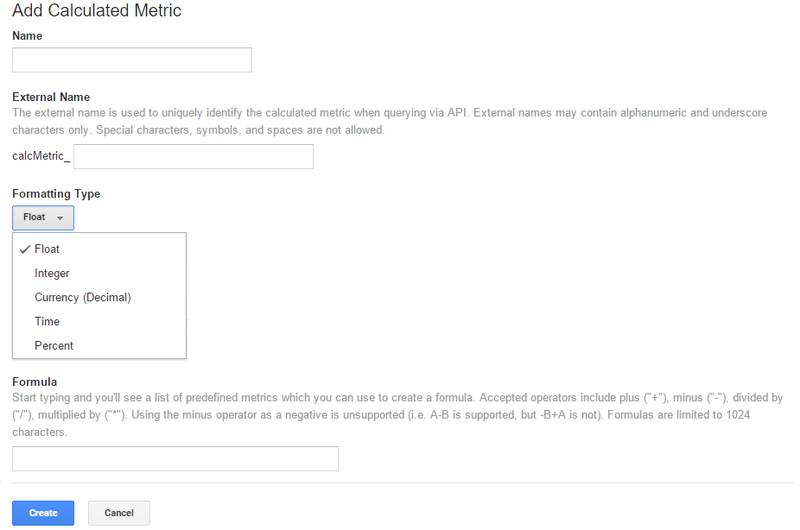 Then select your the existing metrics and newly created ‘Calculated Metrics’ to generate the report. Look at the image given below to get an idea. We’d be interested in understanding the type of ‘calculated metrics’ used by your organisation to generate insights pertaining to sales leads. Feel free to give feedback and post your views in the comments section. Note: TeamWave is an integrated and free software suite for digital agencies. 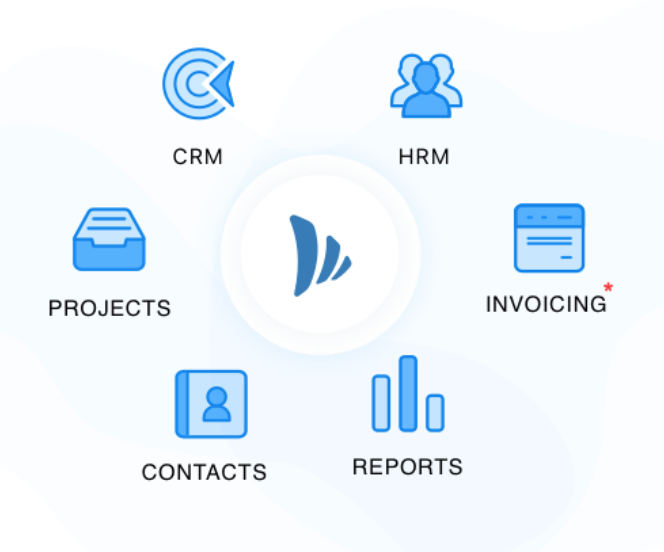 Apps include CRM, Project Management, HRMS, Invoicing and more! We have a book store in the UK and before purchasing anything, people visit the website multiple times. But signing up for the newsletter is something that initiates these visits and we track this as a goal. Thanks for posting the metrics. We’ll be able to do a better analysis now!